City’s Professor of Energy Systems, Professor Keith Pullen comments on the Tesla Model X and the University’s engineering research. American automotive and energy storage manufacturer, Tesla, has recently unveiled its Model X sports utility vehicle (SUV). 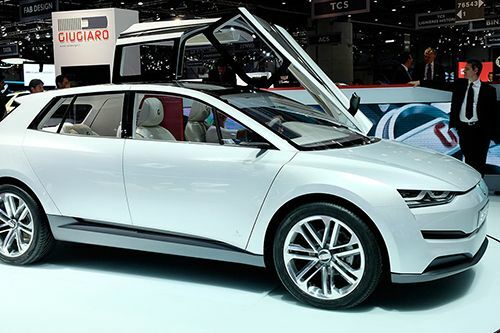 The seven-seater car, whose falcon doors open upwards, drives 250 miles per charge and hits the 60mph mark at 3.2 seconds with a top speed of 155mph. Widely seen as a significant milestone in the evolution of the electric car, the Model X comes at a time of increased popularity for the SUV. 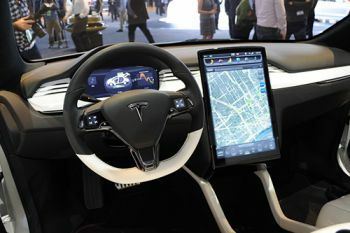 It is the third Tesla car to be launched since 2003 and will cost $130,000. Led by Professor Pullen, research backed by the Engineering and Physical Sciences Research Council (EPSRC) is currently underway on cost reductions in electric transmissions. The research forms part of the wider Vehicle Electric Systems Integration project, led by Warwick University, whose constituent university members include City. “A low-cost flywheel being developed for Nissan in collaboration with Dynamic Boosting Systems and Tata Steel has the potential to reduce emissions by 30 percent for an additional cost of just £300. This technology can also allow full-performance motoring in city centres such as central London with the engine turned off and a much smaller and cheaper battery, providing the energy needed to power a car at low average speeds. Yet another technology is Electric Supercharging which is being developed in collaboration with AVL Powertrain and Dynamic Boosting Systems.” Professor Pullen regards the electronics used in Tesla cars such as the Model X, as constituting a “large factor” in the vehicle’s hefty price tag. Apart from the car’s batteries, even if costs were lowered by a factor of 4-5, he thinks global warming emissions can only be reduced if the electricity grid is decarbonised. A low-carbon economy (LCE), low-fossil-fuel economy (LFFE),or decarbonised economyis an economy based on low carbon power sources that therefore has a minimal output of greenhouse gas (GHG) emissions into the environment biosphere, but specifically refers to the greenhouse gas carbon dioxide. GHG emissions due to anthropogenic (human) activity are increasingly either causing climate change (global warming) or making climate change worse. Scientists are concerned about the negative impacts of climate change on humanity in the near future.